He then went home to sleep in a blood-drenched bed, where he almost bled to death, before police, alerted by the prostitute, found him the next morning. He was unconscious and immediately taken to the local hospital, where he asked to see his friend Gauguin when he woke up, but Gauguin refused to see him. 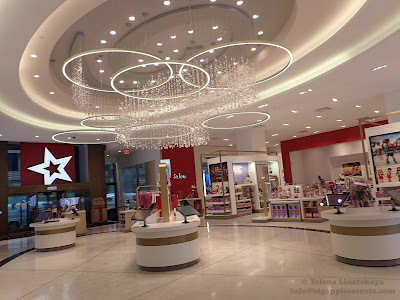 This is the official version of the event. In 2009, two German art historians, Hans Kaufmann and Rita Wildegans, published a book about Vincent Van Gogh. According to their version of events, Gauguin and Van Gogh got into an argument. Van Gogh threw a wine glass at Gauguin who, defending himself, picked up a fencing sword and sliced off Van Gogh's ear. It is almost impossible now to find the truth. We only know that the artist later documented the event in a painting titled Self-Portrait with Bandaged Ear. Two years ago in 2014 a German museum has put on display a copy of Vincent van Gogh’s ear that was grown using some of the Dutch artist’s genetic material. 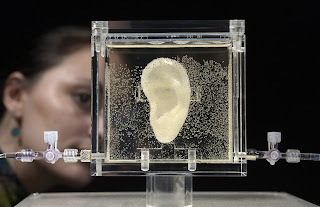 The Center for Art and Media in Karlsruhe says artist Diemut Strebe made the replica using living cells from Lieuwe van Gogh, the great-great-grandson of Vincent's brother Theo. 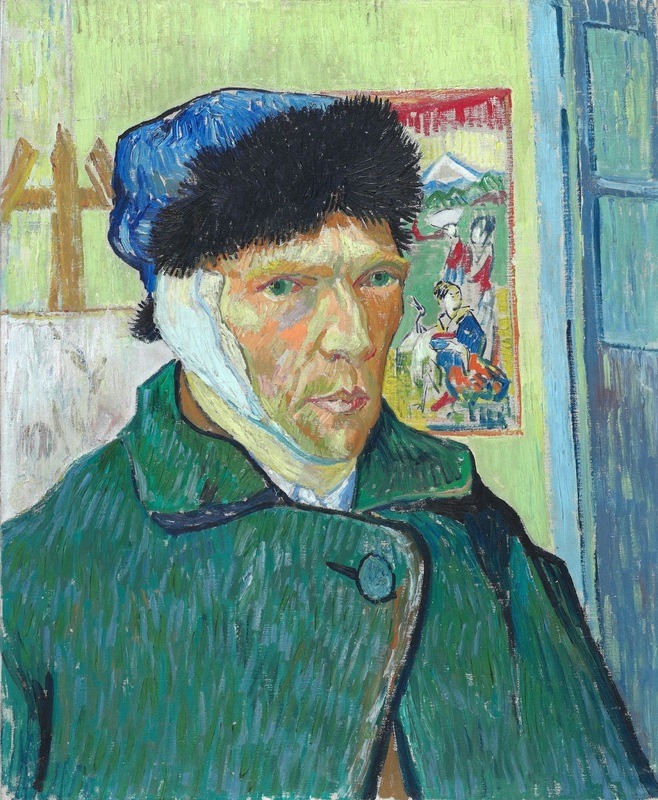 The ear was made identical to Van Gogh's using computer imaging technology. 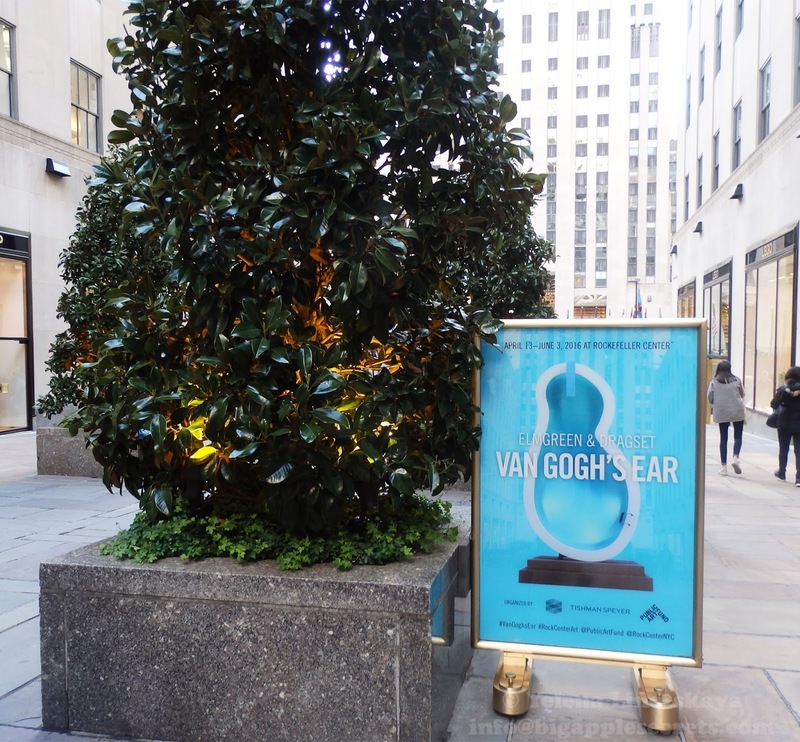 In 2015 Nov 9, 2015 this living copy of Vincent van Gogh's Ear made its New York debut at Ronald Feldman Fine Arts. "I'm not sure that everyone understands the full scientific and biological implications," Diemut Strebe wrote. "The scientific approach is based on the Theseus's paradox by Plutarch… He asked if a ship would be the same ship if all its parts were replaced. This paradox is brought into a 21st-century context by using a living cell line (from Lieuwe van Gogh) in which we replaced (at least as a proof of principle) his natural DNA with historical and synthesized DNA." 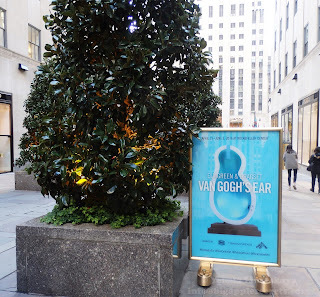 This year Van Gogh’s Ear has appeared on Fifth Avenue at the entrance to the Channel Gardens at Rockefeller Center between 49th and 50th Streets. 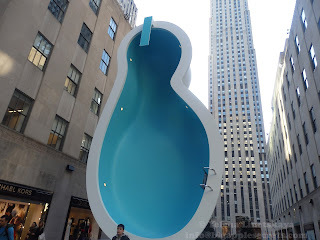 The thirty-foot high, four-and-a-half ton pool and diving board, by Elmgreen & Dragset, were actually handcrafted in Poland by a team of twenty. It was then trucked to Belgium, where it was shipped by boat to New York City. 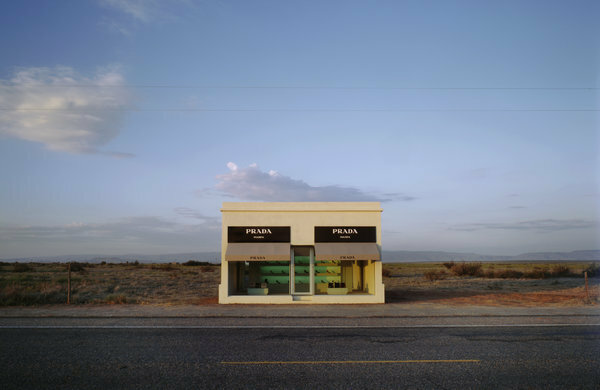 Elmgreen & Dragset are perhaps best known for placing a fully-constructed Prada storefront in the middle of nowhere, on a road 26 miles outside of Marfa, Texas. And in effect, the sheeny, "1950's California" pool is the deserted store's complement. "We often like to work in environments where we use a sort of displacement," Michael Elmgreen said. "If you put a Prada store in the desert it's something that is not belonging to the desert. A swimming pool is something that is certainly not belonging to Rockefeller plaza because it's busy, business-like and a more East Coast atmosphere."